Everything is better with bubbles. Normally bubbles are reserved for beverages, but why let drinks have all the fun with bubbles? 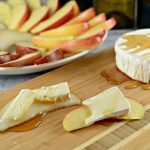 Today’s recipe is perfect for upcoming holiday parties as well. Brad and I had my bff Meg over this past weekend for dinner and when I pulled this out of the fridge she was quite excited because she remembered us making something similar when we were dating and Brad lived with our good friend Tyler. Technically the recipe below is a “double” recipe but I like to do it this way because it fits in our container best this way, and we really like it so it gets eaten rather quickly. Everything is better with bubbles! 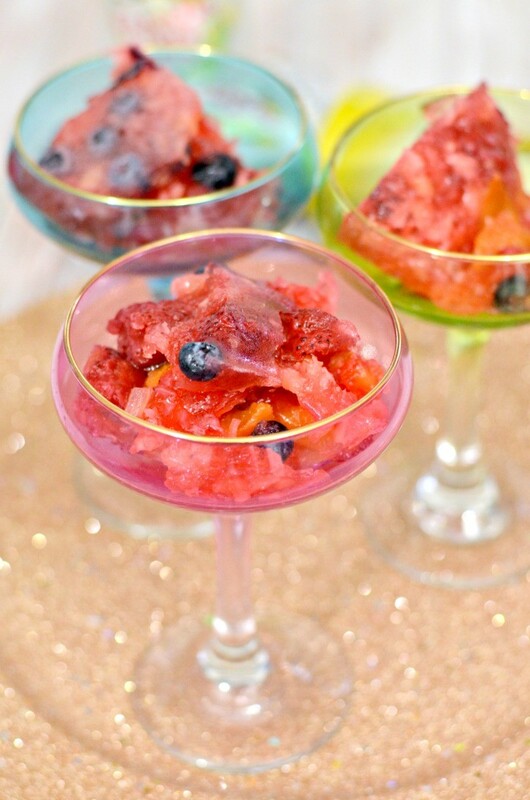 Enjoy this delicious dessert, perfect for your holiday parties. In a sauce pan, combine the water and unflavored gelatin. Stir until the gelatin has dissolved into the water. Do not bring water to a boil. 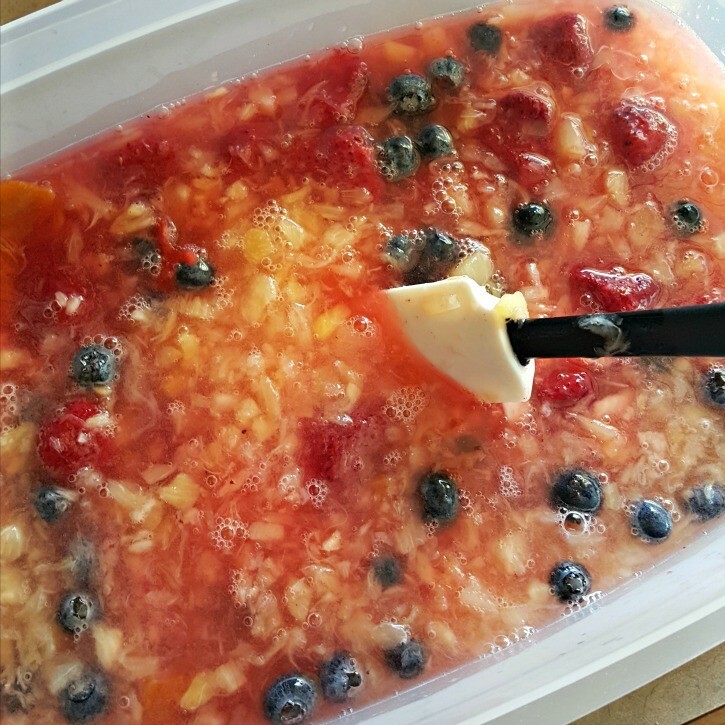 Pour the water and gelatin mixture into the container with the other ingredients. Stir until well integrated. Slowly stir in the cans of Canada Dry Sparkling Seltzer Water. Put in the fridge to let harden 4-6 hours or overnight is best. 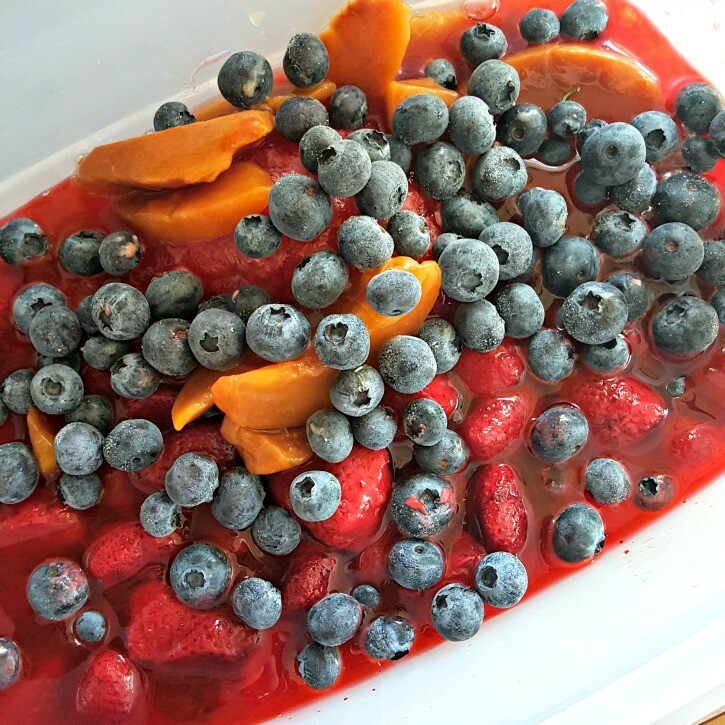 I used frozen fruit this time for my dessert, but during the summer I love using fresh fruit and berries. 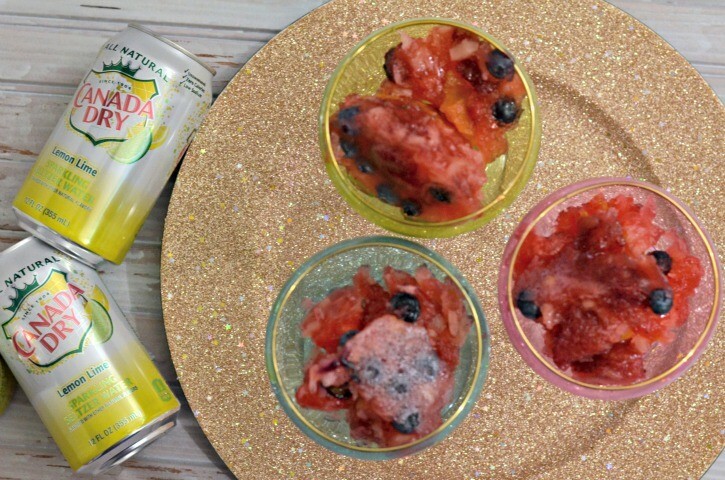 The Canada Dry Sparkling Seltzer Water gives the gelatin dessert an airy texture as it hardens. It also adds these bubbles without adding any sodium, sugar, or calories to the dessert which is definitely a plus. 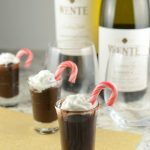 If you are serving this dessert for a holiday party, why not serve them in some fun glasses to emphasize that this isn’t just an ordinary dessert. 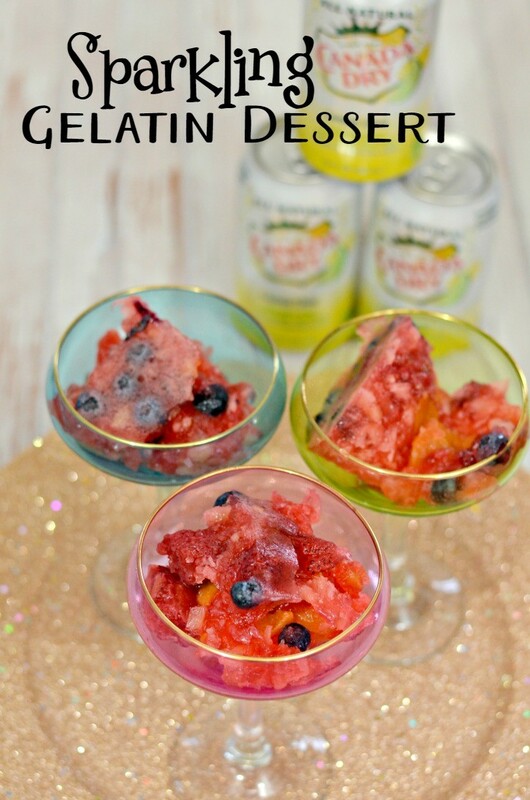 I headed to my local QFC to get all of my ingredients for this sparkling gelatin dessert. 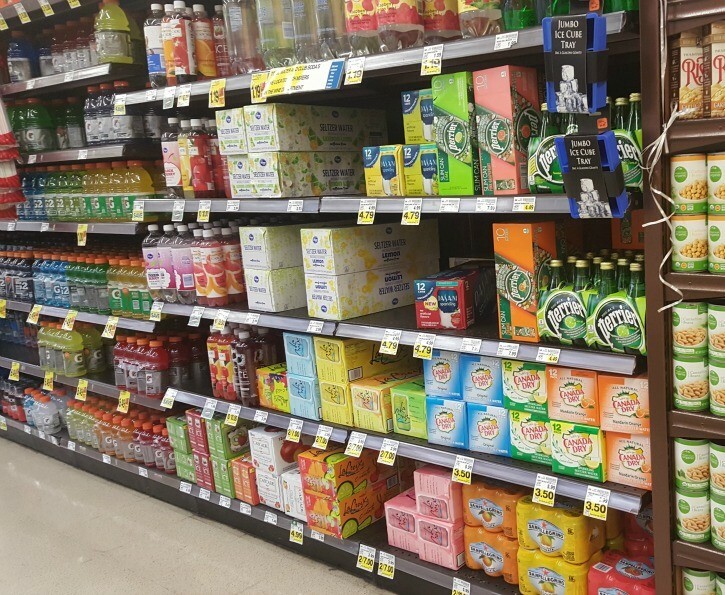 The Canada Dry Sparkling Seltzer Water can be found near all the other pop and sparkling waters if you are looking for it at your local store. I’m excited the try the Mandarin flavor of the Canada Dry Sparkling Seltzer Water as well, I think that it would be a delicious addition to this recipe (especially if I added some mandarin oranges as part of the fruit). 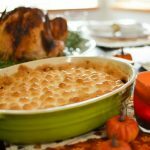 This recipe will be perfect for the upcoming holiday season, make sure you check out the digital coupons available for QFC before heading out the door to do your shopping! Oh that looks tasty! I love anything fruity. Yum! I’m so going to have to try this! I bet my kiddos would LOVE it! 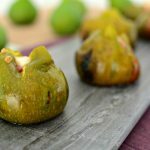 I am digging fruit right now at the end of my pregnancy and this looks relish! I need to try this! It sounds so good! What a perfect idea!! I might have to make these for our bunch we’re hosting next weekend! This is something I would def make and eat!! oooh this sounds yummy, and even better with the mandarin flavor I bet! ahhh this looks SOO delish! This looks so yummy! I ‘ve never noticed the mandarin flavor before! Oh my gosh! This sounds so yummy! I might have to go buy jello since I have most of the other ingredients in my fridge right now! Can’t wait to try this!! It looks so yummy!!! I keep Canada Dry in our house at all times. I love it. Never thought to do something like this though! Yum! These look so good and now I’m hungry for some! Making tonight thank you! Oh! That looks yummy. Must try this!